Hello everyone! 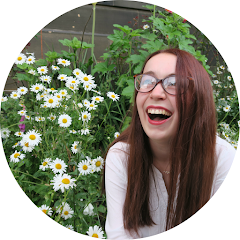 Today I've got another book review and this one's for Lies We Tell Ourselves by Robin Talley*. 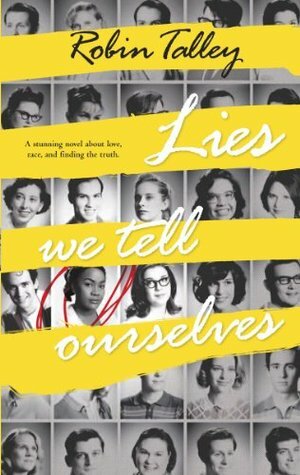 Lies We Tell Ourselves is a fiction novel about black students integrating into a white high school. It talks about racism and bullying but also has some aspects of LGBT fiction in there too. The story is told by two different characters in alternating chapters. Sarah, one of the black students and Linda, one of the white students. Despite this book being so hard to read at times I really loved it. I found it really hard to read some of the bullying scenes as it was really heartbreaking but also made me very angry. I really liked Sarah as a character. She was very brave, strong willed and intelligent. Linda really angered me but as the novel progressed I really saw a big change in her. We also learn a lot more about her home life which explains why she is the way she is. The character development in this novel was really impressive. Some of the plot seemed to be really enjoyable but some of it was a bit unrealistic. Especially the bits that involved the LGBT content. I feel like some of the characters made very rash decisions which they hadn't thought through, even when in other parts of the novel they are very level headed. Despite that I still really loved this book. It would be amazing if this book was taught in schools. I gave it 5/5 stars on GoodReads. Lies We Tell Ourselves will be released on the 30th of September and you can preorder it on Amazon here.